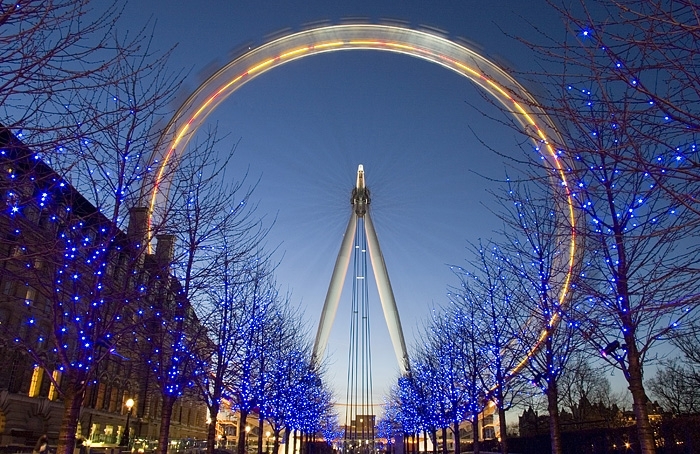 A commonly-shot view of the London Eye! A 30-second exposure makes it seem as the Eye is spinning really quickly, but in reality, a complete rotation takes approximately half an hour. When taking pictures in this location, apparently it is a good idea to keep a look out for security guards who object to the use of tripods. I imagine this is because they are trying to prevent professional photographers taking decent pictures, hence cutting down on the Eye’s merchandise revenues. However, I had my tripod up for about five minutes whilst I was there and had no problems. 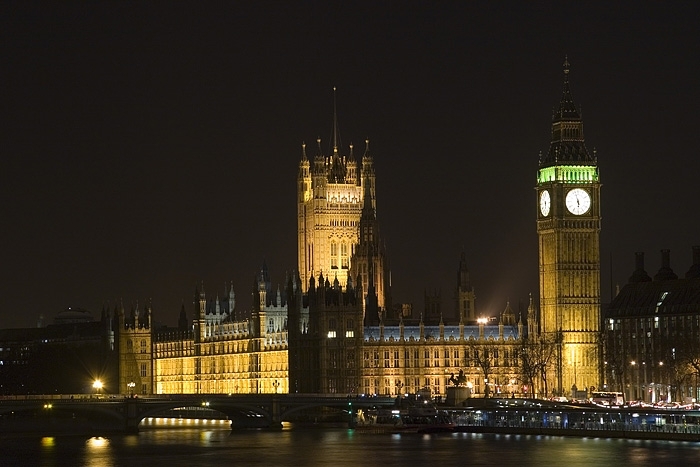 An iconic view of the Palace of Westminster. 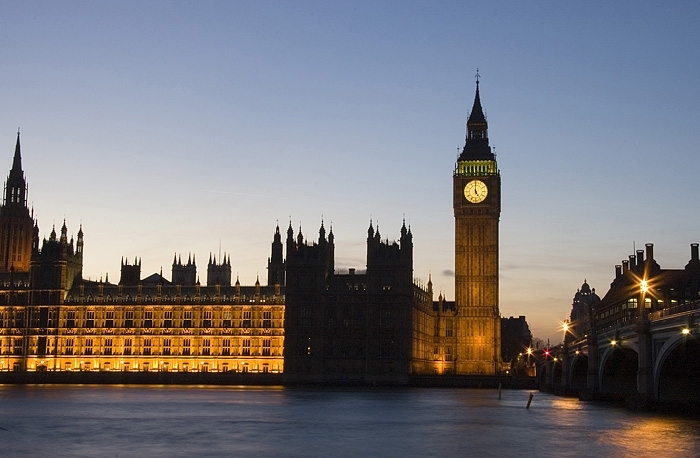 The Palace of Westminster is the site of Parliament for the United Kingdom. The image of the Palace, and, in particular, the Clock Tower (erroneously known as ‘Big Ben’, the name of one of the bells) is very well-known around the world as is an iconic image of London. I took this image from on the Golden Jubilee bridges, downstream of the Palace. 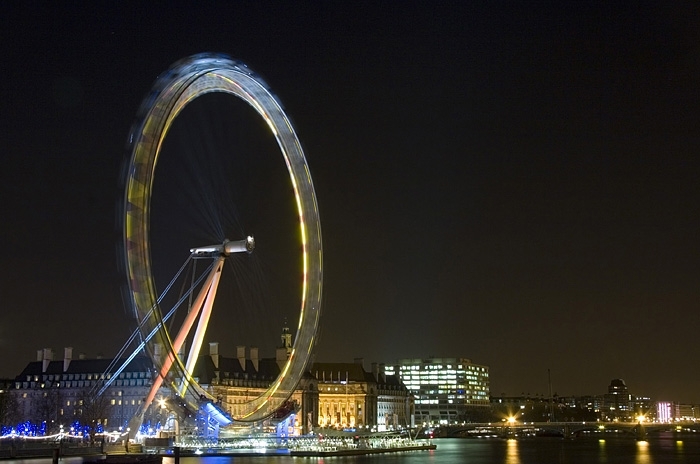 This is another view of the London Eye, as seen from one of the Golden Jubilee bridges. A long exposure gives the impression that the Eye is rotating quickly! 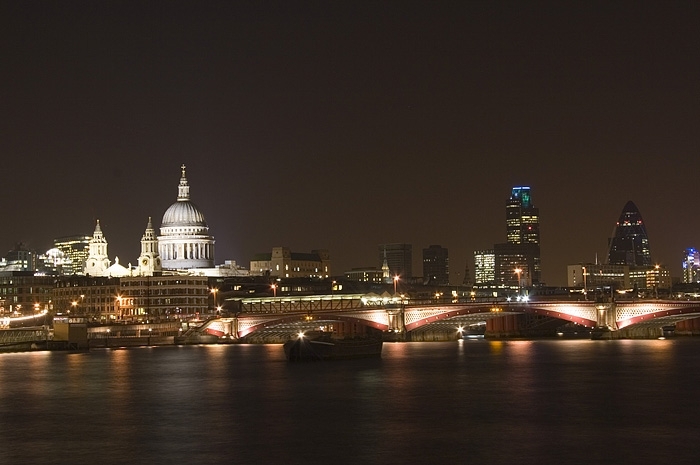 St. Paul’s Cathedral and the Blackfriars Railway Bridge. as seen from the South Bank. In the distance, Tower 42 (the ‘Natwest Tower’) and 30, St. Mary’s Axe (‘The Gherkin’) can be seen. 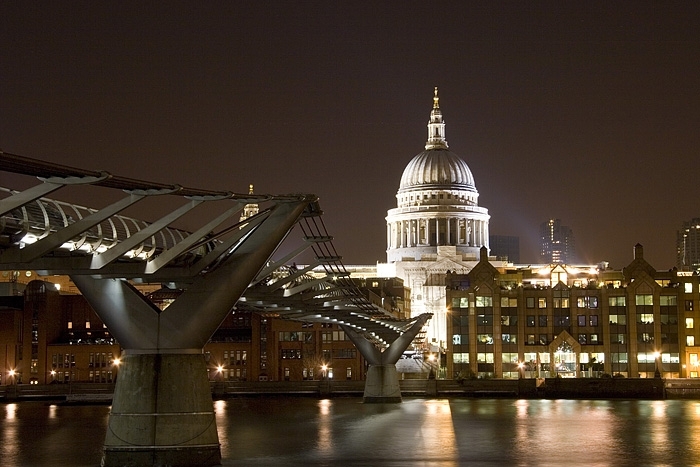 A commonly-photographed view of the Millennium Bridge and the dome of St. Paul’s Cathedral. Looking north along the Millennium Bridge, towards St. Paul’s Cathedral. 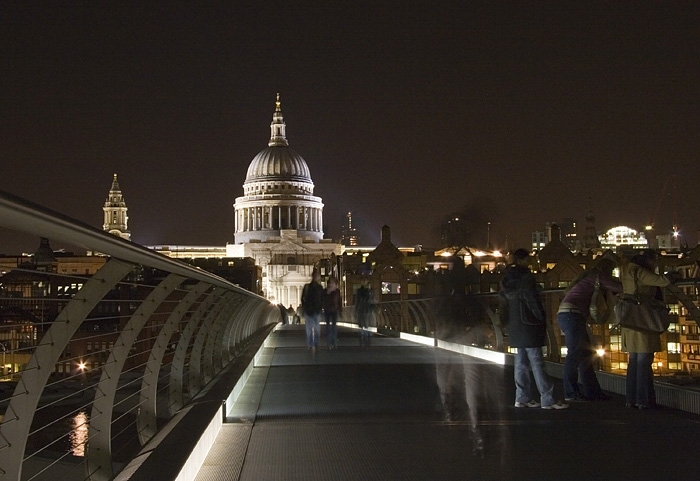 A 1.6 second exposure gives a ghost-like appearance to some of the people crossing the bridge.